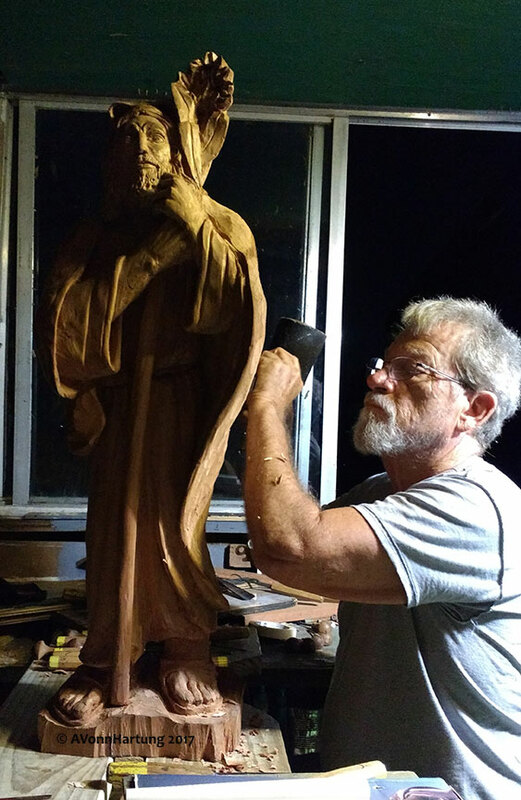 My most recent wood sculpture, carved through the period of the hurricanes Irma and MARIA. Approximately 3 feet high, carved in Tropical Cedar because of the desired color and its resistance to termites here in Puerto Rico. For Capilla Maria Auxiliadora, a small chapel in rural Carolina, Puerto Rico. 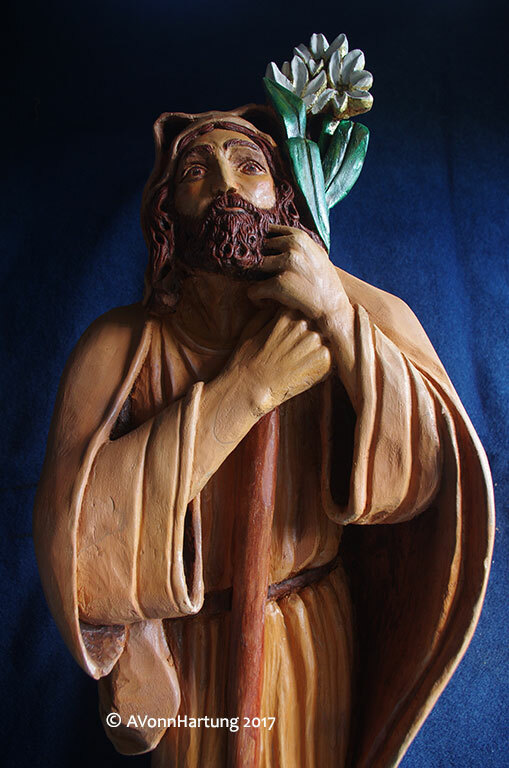 I’ve carved St. Joseph as a protector and a traveler; a stand-up guy who was always looking out for his wife and child, ready to defend them along the way of life which was full of dangers. He was a man of deep Faith who received his revelations through DREAMS: that Mary was the mother of God and that he should get out of Bethlehem and go to Egypt to escape the danger of Herod who wanted to kill the newborn King. Of course, we know he was a carpenter and must have been a wonderful father.